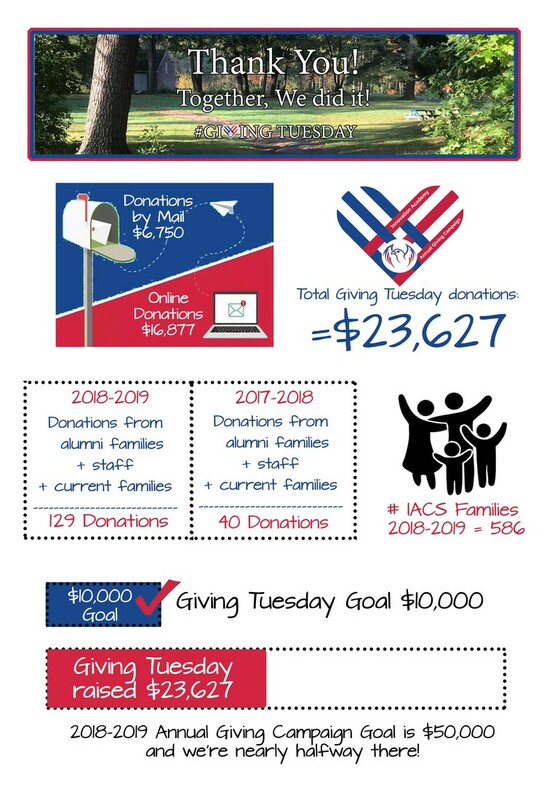 Thanks to you, our Giving Tuesday fundraising campaign was a success, not just because your donations allowed us to soar past our goal to raise $10,000. The success was in the stories behind the donations. We heard from families who were eager to close our goal gap, we heard from our cash-strapped alumni who recently graduated from college, and we heard from families Wednesday morning eager to know if we reached our goal. Each donation represents the appreciation that you have for IACS and what the school means to you. 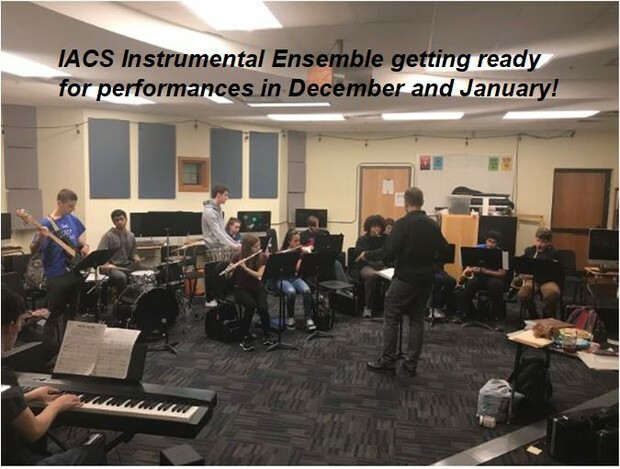 This weekend there will be two performances by IACS music students at the Tyngsboro Festival of Trees. 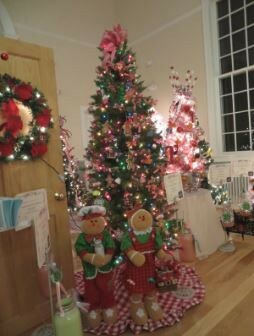 This event is family friendly and is held at Tyngsboro Old Town Hall. There will be many festive events starting Thursday, 11/29 continuing all the way thru to Sunday, Dec. 2nd. A schedule of events can be found here. We hope you’ll consider coming out to support our students. All are welcome! Students should be wrapping up their Quality Night preparations and practicing their presentation at home. Families can help ensure readiness for this important event by listening to the presentation. Asking your child questions about how the work relates to the real-world and making connections to the four school outcomes as well as providing feedback about their presentation skills will help your child polish their presentation. Quality Nights give students the opportunity to share an example of their best work with the public. We believe that this is not only an experience for adults to learn about what we do at Innovation Academy, but an opportunity for students to learn very important public speaking and presentation skills. 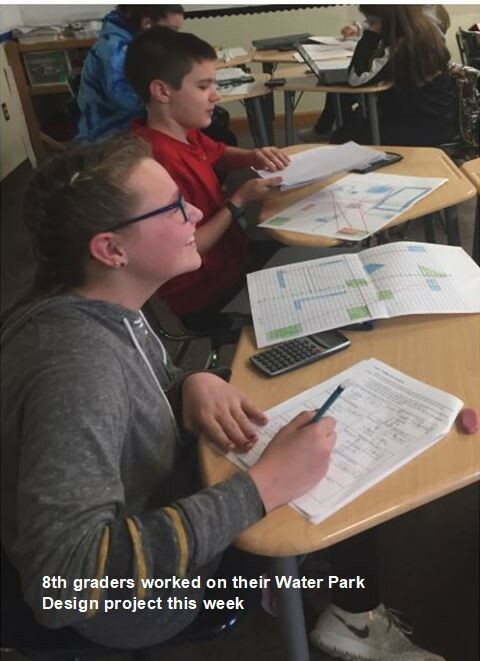 Guests at Quality Night are asked to review short student presentations of their work and are given the opportunity to provide feedback to students. to find the packing list and other important reminders. The second progress report of Semester 1 will be published to our x2 Aspen student and family portal early next week. You will receive an email when it is available. 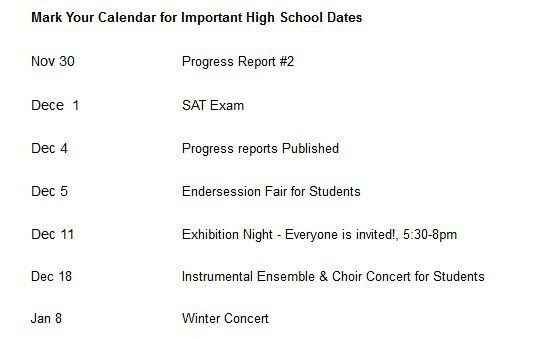 These will be the final progress reports before the close of the semester in January when report cards will be issued. Please be sure to review them with your child to help them reflect on areas of success and where they can improve. If you need your password reset, please reach out to the main office. 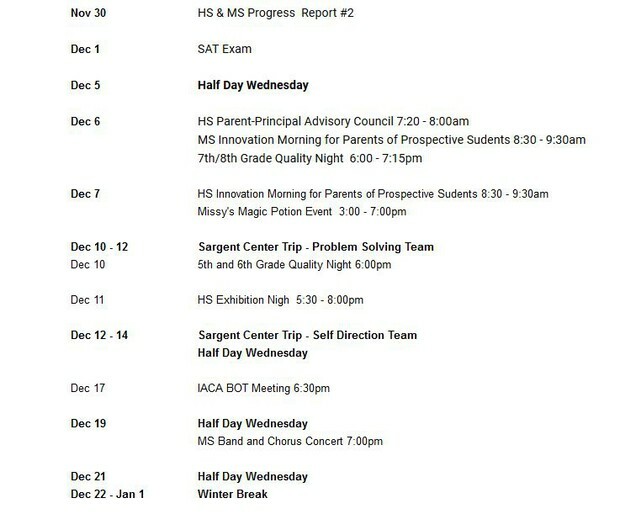 The second progress report for semester 1 will be available on your X2 Family Portal on December 4th. An email will be sent to parents when they are ready. 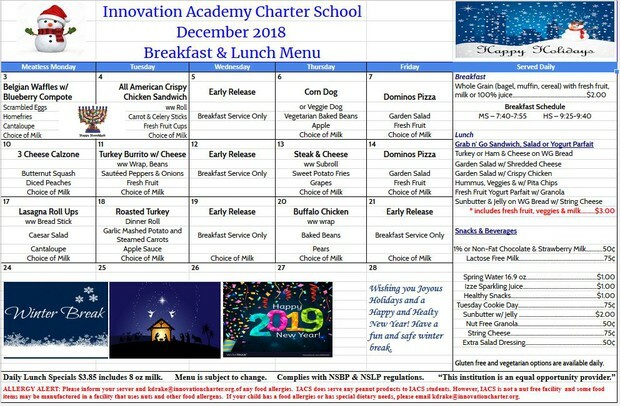 If you do not know your log-in information please reach out to Crystal McKiel, cmckiel@innovationcharter.org or ext 2004. Cost: Just $10 to enroll by Wednesday, January 9th. We unfortunately cannot accommodate walk-in students. Exhibition Night is Coming Soon! Mark your calendars for December 11th. At Exhibition Night, the hallways and classrooms of IACS are transformed into a museum of student work, with ALL students contributing at least one piece of academic work of their choosing in the subjects of English, Math, History, Science, Spanish, Art and Music. The atmosphere is relaxed as students, families and community members peruse the exhibits at their own pace. Expect to see students on hand to answer questions about their projects or conducting a short presentation. The evening will begin with a quick preview of the music that our Choral, Chorale and Instrumental Ensemble classes will be performing on Tuesday, January 8th. 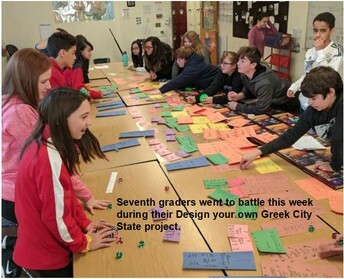 This is a great way to see the project-based work that our students create during the school year. Community members are needed to observe, comment & inspire our students. The November issue of Student Health 101 and Student Advocate, our online, wellness magazine is chock full of some wonderful articles! Whether you’re looking for advice on how to help your child navigate potentially toxic friendships or wanting to help them figure the best time management strategy based on their personality, you will find it here. Be sure to download the Student Health 101 app onto your smartphone, and stay tuned for upcoming articles! And don’t forget to enter the raffle to win $100 for every article you or your student read! 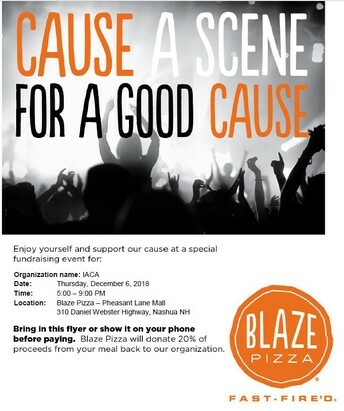 JOIN US AT BLAZE! 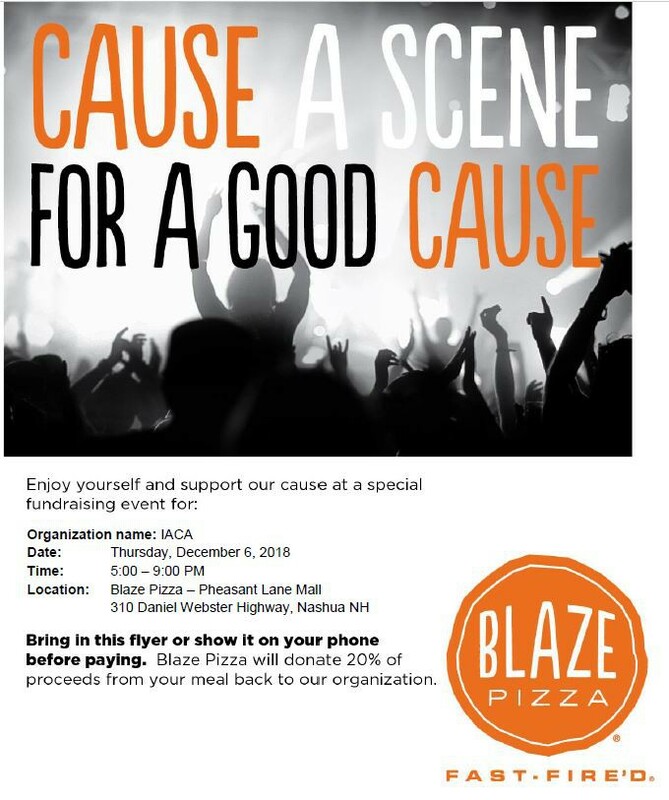 December’s Dining for IACA will be held on Thursday, December 6 from 5-9 p.m. at Blaze Pizza in the Pheasant Lane Mall. What a great way to celebrate a successful Quality Night! Remember to bring the attached flyer with you for a portion of your bill to be donated to IACA. SCRIPS DEADLINE IS DECEMBER 7: If you’d like to receive your gift cards in time for the holidays, please submit your orders by Friday, December 7. We’ve attached the flier here as a reminder of how the program works. SCRIPS IS HERE! CALLING ALL BAKERS! If you can help out with donating baked goods for our Exhibition Night bake sale on December 11, it would be greatly appreciated. IACA Contact Kelly Ash at kellyfrawleyash@gmail.com if you can contribute your favorite treats. MEETING: There will be not be an IACA meeting in the month of December. Any donations can be dropped off at the main office with a note addressing them to “Student Government Semi.” For any inquiries regarding donations, feel free to contact us at student.government@innovationcharter.org . We thank you in advance for any support you may be able to provide.